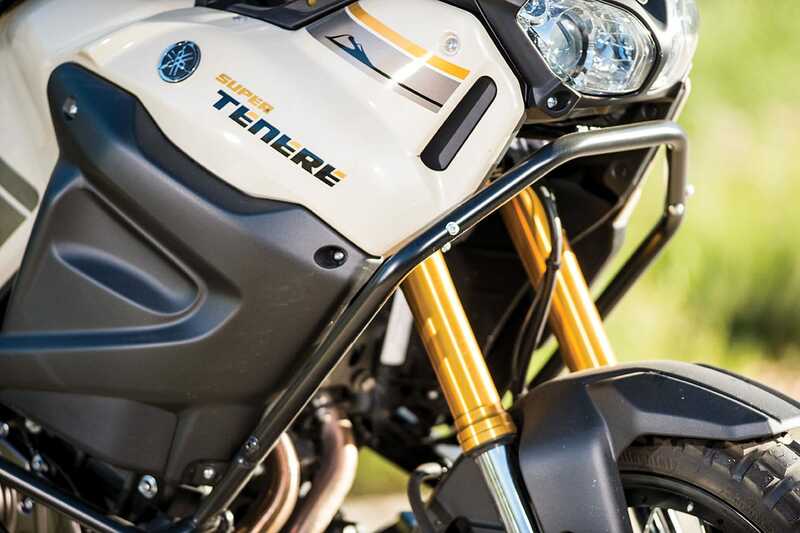 We equipped our Super Tenere with a number of accessories aimed at bringing the Yamaha back into the spotlight. 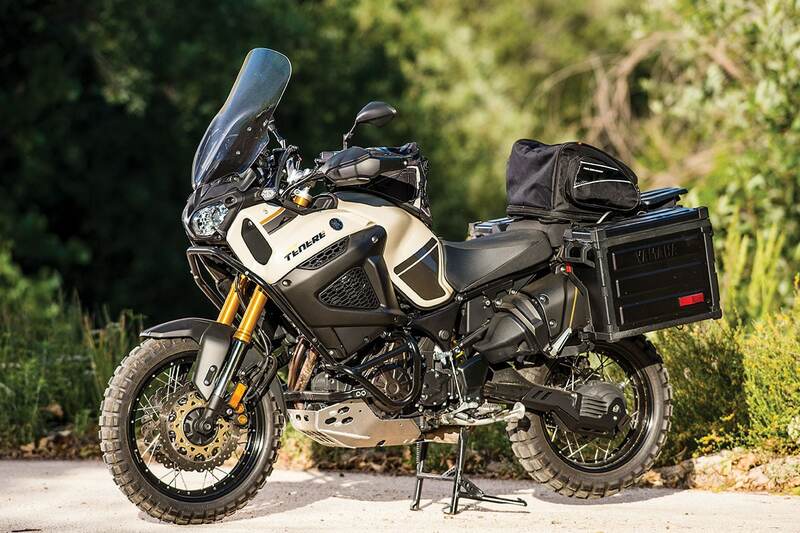 The Yamaha XT1200 Super Tenere was once the star of the adventure bike world. We decided to take another look at it and to spark it up with some of Yamaha’s in-house accessories. Here’s a hit list of some of the Yamaha’s most distinctive features. 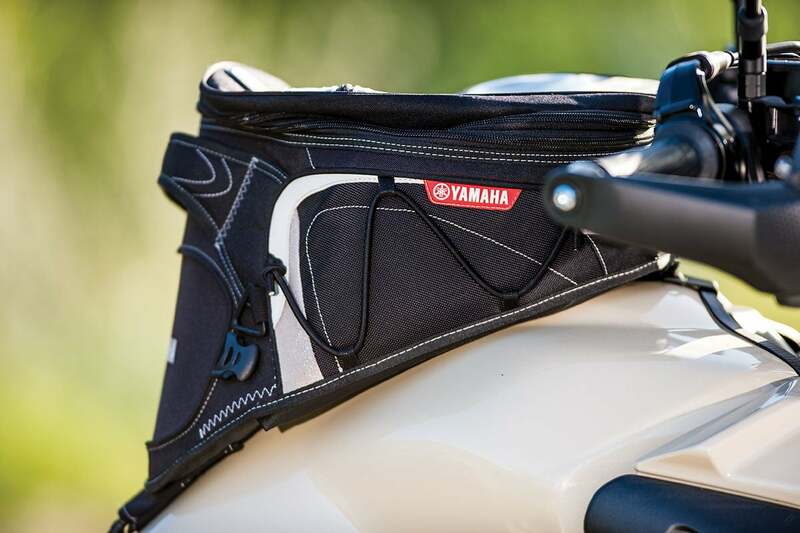 Yamaha’s hard panniers cost around $1000 a set, which is comparable to the price for SW Motech, Touratech and other quality hard saddlebags. They’re tough, aluminum top-loaders. Our only complaint is that the flexy plastic latches and attachment mechanism seem out of place. POWER: The Yamaha remains Japan’s largest, torquiest real adventure bike. 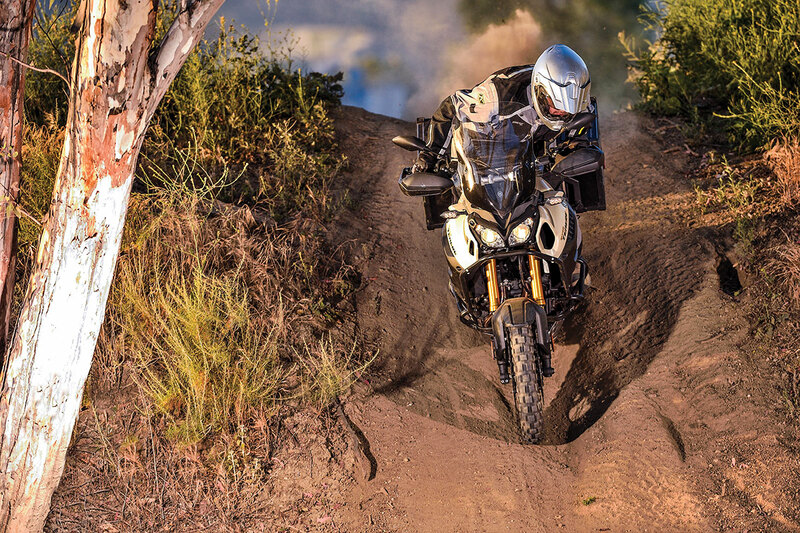 The Kawasaki Versys 1000 and the Suzuki V-Strom 1000 might have more peak horsepower, but both are designed primarily as street bikes with off-road capability as a second priority. The Yamaha was targeted from scratch as a bike for touring dirt roads, and the power was designed accordingly. The torque is amazing, and there’s something about the irregular pulse of the 270-degree crank that produces a sense of satisfaction. The bike is no revver, though. On the street, you run out of rpm early. It has a six-speed gearbox, so there’s always another gear, but if you’re used to the revs typical of modern street bikes, the Yamaha will seem like a tractor. SUSPENSION: Times have changed since the introduction of the Super T. Back then, we were amazed at how well the bike’s suspension worked off-road. That was eight years ago, and now KTM, Honda and even BMW have upped their game. The Yamaha seems short-legged and harsh by comparison. Two years ago, Yamaha responded by offering the ES model for about $1100 more. This model offers push-button electronic rear-suspension tuning. The shock has four preload positions, three damping settings and seven fine adjustments. Even with the ES option, the Super Tenere isn’t as strong as KTM or Honda in the suspension department. Many riders go for the standard model and leave budget for an aftermarket shock. Race Tech, Touratech and Ohlins are the leading alternatives. You want torque? The Yamaha has pistons the size of paint cans. COMFORT: The Yamaha still scores well here because the layout is very dirt-oriented. It feels natural to stand up. The bike has good footpegs and a half-decent seat. Even street guys are drawn to the bike because it’s so spread out. The stock windscreen and handguards offer good protection. 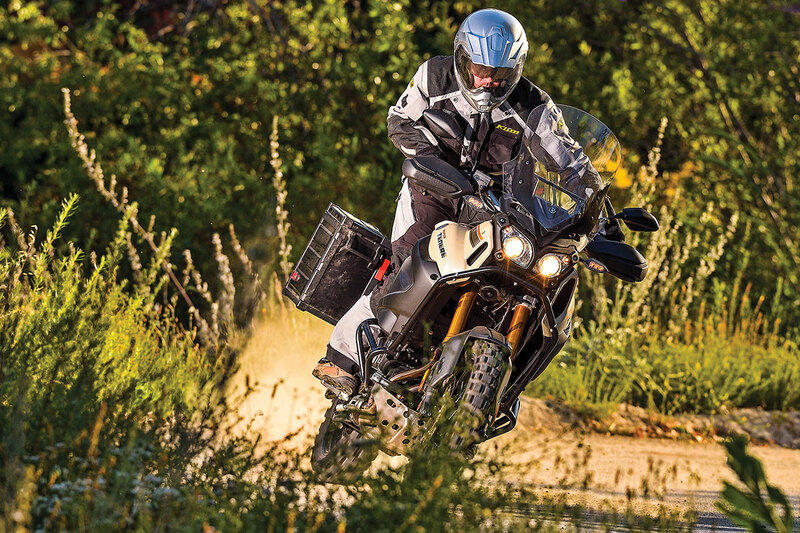 ELECTRONICS: The Super Tenere was one of the first adventure bikes with traction control. It was never really designed with dirt riding in mind, although the three levels can be useful for bad weather on pavement. Most dirt adventures are still better with the system turned off. ABS is another technology that is better for the street than in the dirt. It actually works quite well in the front, but the rear is quirky and somewhat intrusive when you go off-road. Every adventure bike needs protection. The Yamaha engine guards are $500. 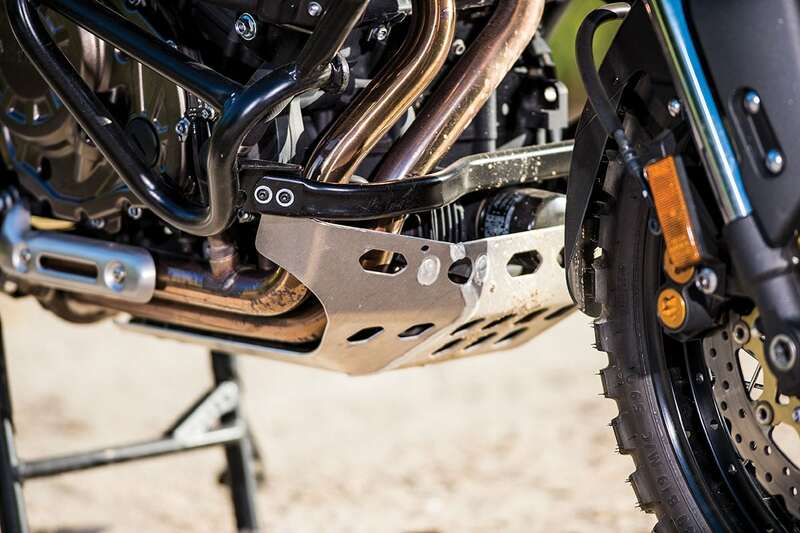 The accessory skid plate is a work of art. Yamaha priced it at $226, which makes it mandatory. The Nelson Rigg soft-tail bag sells for $130 and is much less intrusive than a hard-top box. 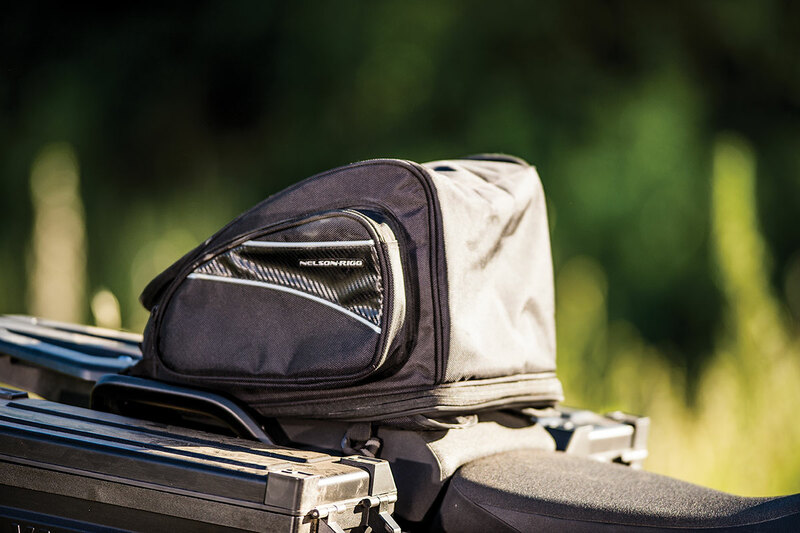 The best part about the Yamaha tank bag is that it’s a dedicated to the XT1200 and fits perfectly. 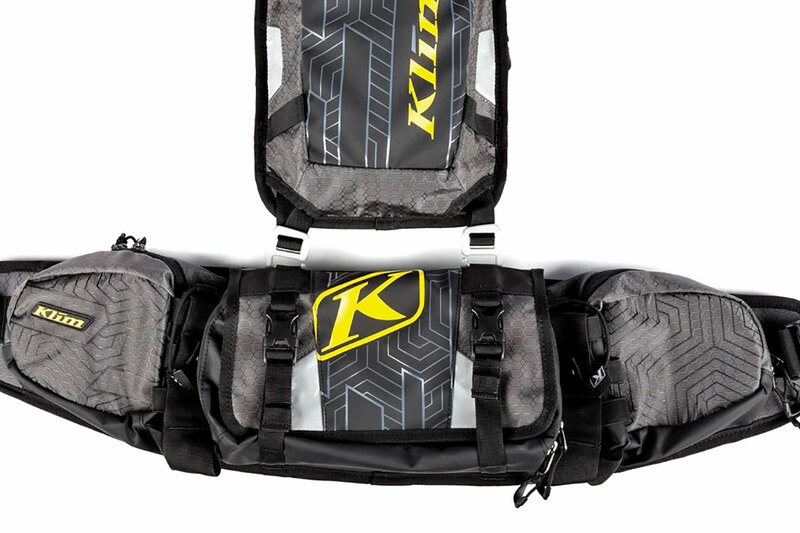 The shape of the bike’s fuel tank makes it a difficult application for universal tank bags. The price is $190. ACCESSORIES: We equipped our 2018 Super T with over $2500 of accessories from Yamaha’s parts and accessories department. In general, the equipment Yamaha sells for its own bike is par with the best stuff in the world. 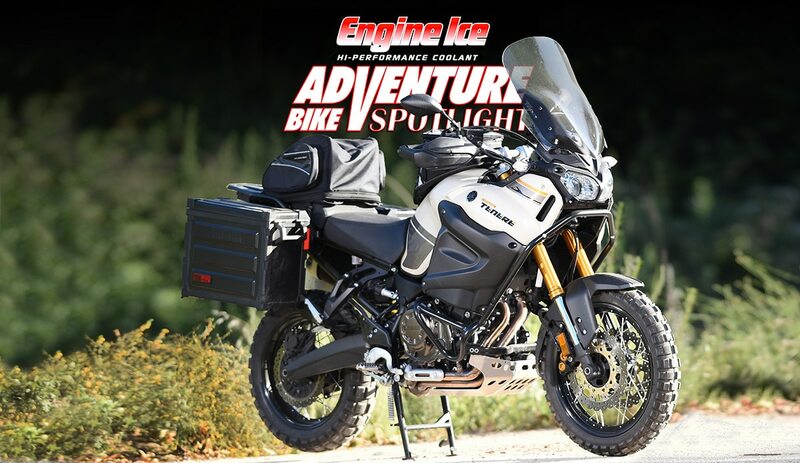 With the $15,099 MSRP, that pushes the bike up into the range of a completely stripped BMW R1200GS. Here’s the catch: there’s no such thing as a completely stripped R1200GS. BMW North America only imports the bike with premium packages added. 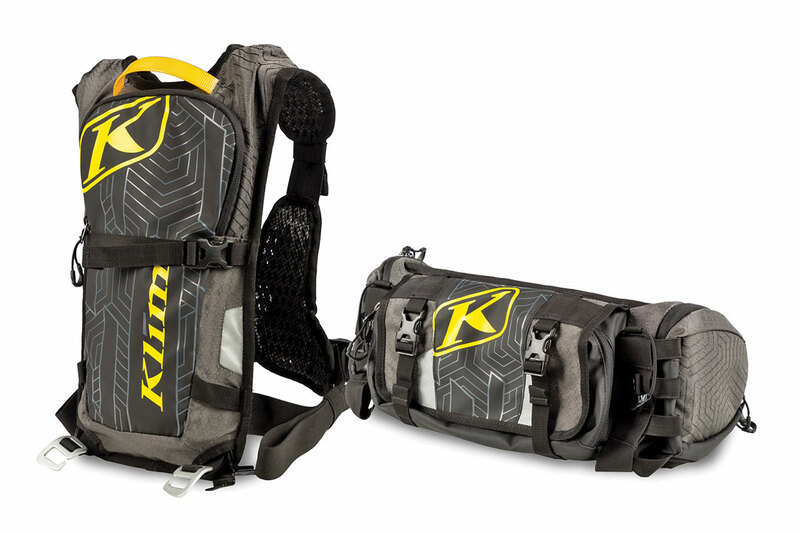 Expect to pay $20,000 and more for high-end adventure hardware from Europe. So even though the Super T is a top-shelf machine itself, it remains a bargain among other bikes of its capabilities. Tired of bending or breaking your license plate every time you take the dual-sport off-road? The Enduroplate is a two-piece license holder made of hard plastic and steel with a strategically placed magnet. 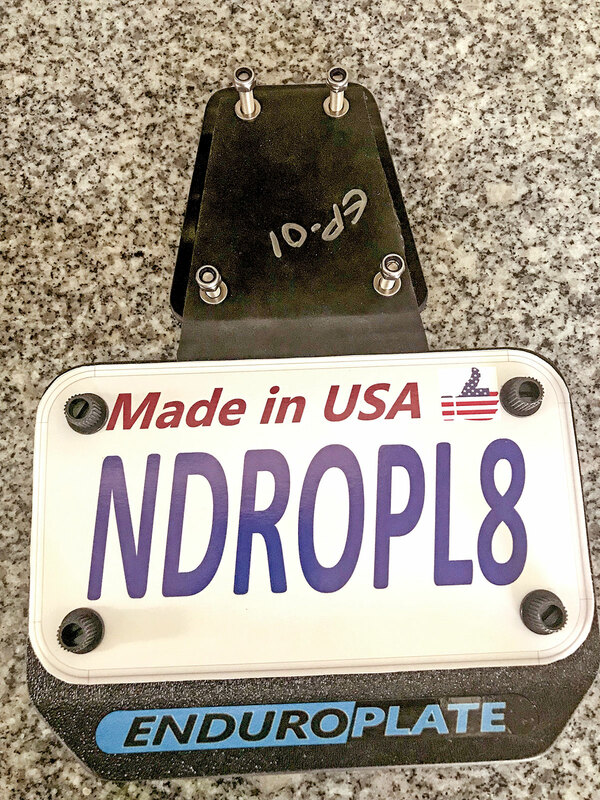 A flexible rubber mounting strap holds the pieces together at the top, and in the event of an impact, the lower section separates without damaging the license plate, then magnetically snaps back in place. 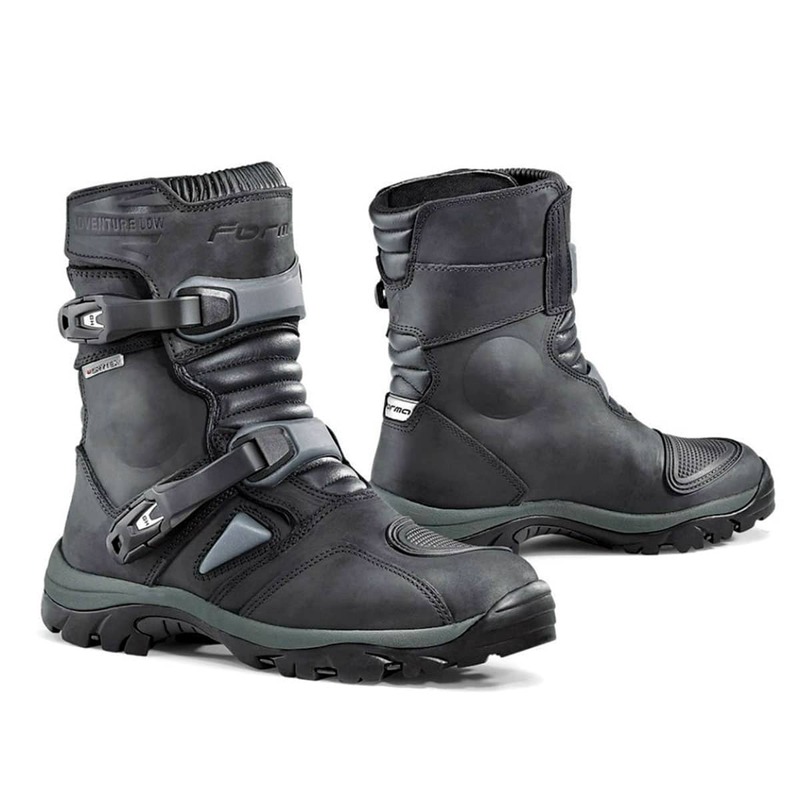 The Forma Adventure Low boots are designed to work effectively as road boots, complete with some dual-sport features. Features include a waterproof Drytex lining, full-grain oiled leather, TPU ankle protection, technical multi-flex-anti-slip sole, adjustable straps and crush resistance to exceed CE Level 2 protection. Available in black and brown in sizes 4–15. throughout. Klim also engineered the Scramble and Quench Paks to connect for use as one via two metal hooks.